Rocky Mountain Audio Visual's work doesn't end at the conclusion of an event. We can film an event, record it to DVD and make bulk copies of those DVDs for later distribution. Include custom disc packaging options and fast production turnaround times. 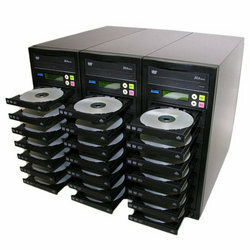 Disc duplication on our professional archival-quality, Grade-A CD-Rs and DVD-Rs. A Low Price Promise, so you’ll never pay too much for premium-quality CDs or DVDs. Call us today at 866-840-7655 and let us know how we can help turn your event into a memory that'll last a lifetime! Transfer your old media into CD's and DVD's! Why keep boxes and boxes of old film and audio from 20 years ago, when you can get it transferred over to CD and DVD's for your space saving collection? It is time to get that box out and start transferring those! AND MORE! If you have a hard to find or "I have no clue what this is" media, bring it in, and we can probably figure it out for you!